What works? What really works? This you have to find out for yourself. I find the Buddhist convention a very skilful one for me. 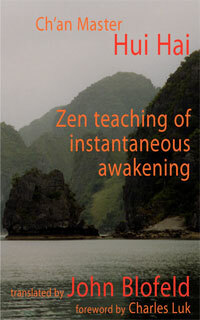 Buddha was really not leaving anything to be grasped, and so one often feels frustrated by the practice. There’s something in us that wants to grasp something and hold on, but every time we do, it’s pulled out. So you may become an Advaita-Vedantist for a while because you would really like a metaphysical doctrine, or you would like to have, say, Buddha-nature. ‘That’s it!’ You know, get a nice name for it, something you can name and have faith in. But in the long run, even that is relinquished, even the hope and the need for grasping anything, any concept. The Simile of the Raft is a very good simile of what the Buddha was teaching. He was just giving us a convenient vehicle, a practical vehicle to use, not something to hold or grasp, but to use. Question: Could you please clarify what real enlightenment is? Is it possible, by simple self-awareness, for a person to become enlightened? Or does someone have to tread the religious path, or whatever, to reach that stage? 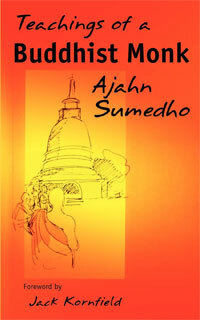 Ajahn Sumedho: Well, I don’t really know. I obviously needed a convention to use. I wasn’t basically a wise person that had a natural wisdom; at least I wasn’t aware of it. When I came across Buddhism, I felt such a kind of fascination and interest in it that a faith arose in me. Just a short paragraph in a book on Zen did it. And so I trusted in that. People who are not Buddhists but who are basically wise and have somehow realized truth without any religious convention are obviously quite pure; they start from a position of purity. That’s what I assume, anyway. This is where you have to trust what really resonates with you. For me, Buddhism did, and yet I was brought up as a Christian. But that never did resonate with me; it never reached the heart. And yet it did for my sister and my mother. I don’t know how to explain that. One of the arrogant problems of any religion, of course, is thinking that we all have to do it that way and that enlightenment in any other form is not the real thing. That, to me, is really arrogant and presumptuous. It shows a strong attachment to the convention. How does anyone know? I know that this is how I’ve lived and what I’ve found useful, I know that, and I’m surprised when other people don’t find the same. Why does it resonate with me and not with somebody else? I don’t know. But this is where I don’t have an opinion about it, either. 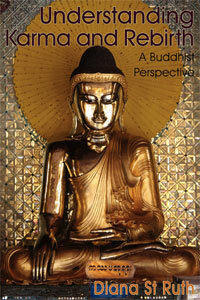 First published in the November 1998 Buddhism Now. Training & Enlightenment are one! 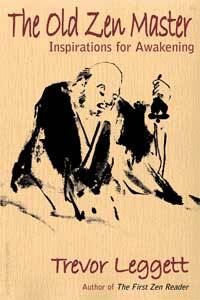 Great Master Dogen! Very rational answers. Thanks Bhante, for explaining in such a way, where others are able to understand. However, all these unwanted, unhealthy questions arises, when the teaching is accepted as an ‘ism’. It is a way of life, Live a good life, tame the mind, and purify. No need of having a label, but the most important is to live a noble life, without clinging to the world. Such noble one becomes divine and no need to continue birth, as clinging does not exist. Typically wonderful and succinct comments by Venerable Sumedho! Actually this is the first time I have read this talk, and am happy I found it here. Thanks very much Diana for publishing it here is this wonderful treasure trove of Dharma!